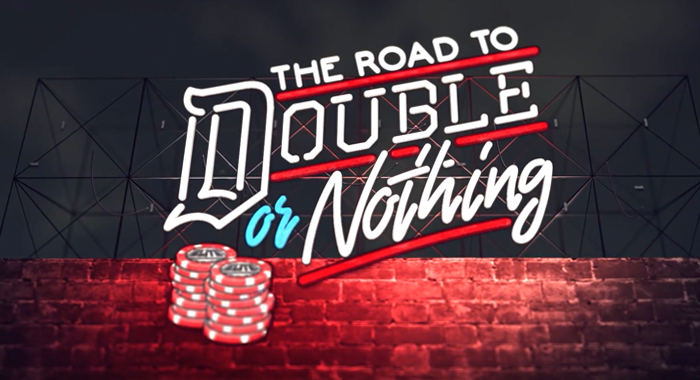 This week’s episode of The Road to Double or Nothing kicks off with the “Bad Bad” Joey Janela announcing that he is “one-hundred percent” ready to go ahead of next month’s pay-per-view. He reminds us of all the crazy stuff he did with Hangman Page at ALL IN, and claims he might “actually die” the second time around. In the next scene, Cody Rhodes is at what appears to be a DDP Yoga workshop with Diamond Dallas Page, Dylan Frymyer and a big crowd of people. For those of you who don’t know the Dylan Frymyer story, he’s another one of the many incredible, emotional success stories associated with the DDPY program. The very brief version is that Dylan, a lifelong wrestling fan, weighed nearly 300 pounds at just 15-years-old. Through the use of DDPY and communication with Dallas himself, he was able to lose over 100 pounds. 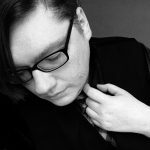 Unfortunately, in the years that followed, due to bouts of depression and the losses of multiple family members, he put back on nearly 160 pounds. Eventually Dylan reached back out to Dallas around the time that he was helping Scott Hall and Jake Roberts clean up their lives. Dallas offered to move him down to Atlanta to work as a video editor if he could work hard and lose 20 pounds inside of a month. He went on to become one of the lead editors behind the Resurrection of Jake The Snake documentaries, and now runs shows as a wrestler and promoter himself. Snap back to The Road to Double or Nothing where Dylan is on FaceTime with him mom, who first bought him the DDPY package and first communicated with Dallas via email, telling her that he has been invited to be in the Over Budget Battle Royal. Cody then introduces his nutritionist Carolyn Fazio to help Dylan continue his journey and put together a program for himself. He would love for everyone in AEW to utilize her skills and be healthy. Brandi is shown at poolside on her phone with Allie. She says the two of them have never wrestled and would love to face her at AEW Fight For The Fallen in Jacksonville later this summer. Allie asks if it has “something to do with all that other stuff before”, but Brandi assures her that they are “cool” and just wants to have a great wrestling match. Brandi then calls another number, but we don’t know who’s on the other end. She asks them to be at Fight For The Fallen to help her with a “personal issue”, then tells the camera man to stop recording her. It’s time for a P.S.A. from Maxwell Jacob Friedman, who claims he’s misunderstood. He calls himself a good person deep down that cares about us, the viewers. MJF calls Joey Janela “scum” and then trashes the people in the first Over Budget Battle Royal, mocking some of the flashy wrestlers for doing dives in a battle royal. He says the winner of the second OBBR at Double or Nothing has a great prize waiting for him, and he’s going to win it. We are introduced to 30-year-old Anthony Ogogo, a professional boxer from London, England who won a bronze medal in the 2012 Olympic Games just weeks after his mother was rushed to the hospital, suffering a near-fatal brain aneurysm. He talked about having to sneak out of the Olympic Village in the middle of the night to see his mom in the hospital. Cody basically says that they are taking a look at him as a potential prospect.